Phoenix drivers know it’s important to maintain your vehicle, which means ensuring it always gets a timely oil change. You can opt to do this yourself, or you can schedule a service appointment at a local dealership to have them do it for you. Changing your oil is easy if you’re the DIY type—it just requires you to know a little bit about your vehicle and how it works. The oil in your vehicle is meant to help keep the engine, belts, and bolts accurately lubricated so they can rub together without any issue. Explore below to see exactly how an oil change works and how you can do it yourself. Before you can add new oil to your vehicle, you need to remove the old oil. This is done by finding the drain plug underneath your vehicle. This is typically a large nut located under the oil pan towards the bottom of your engine. In most cases, you’ll need to jack up your car in order to access the nut. Pour the new oil into the top of the engine using a funnel. Your vehicle’s manual should let you know exactly how much oil to use, so be sure to follow the directions. Once finished, look under the vehicle to ensure there are no signs of leaking. Changing your oil is easy, but sometimes you just don’t have the time or patience to do it yourself or you aren’t 100% confident you know how an oil change works. 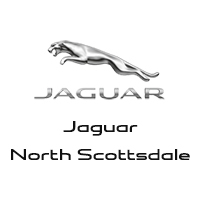 If this is the case, let the experts at Jaguar North Scottsdale do it for you. We’ve been helping Phoenix drivers with vehicle service for years using genuine parts, so contact us to schedule your service appointment or stop by our dealership today!